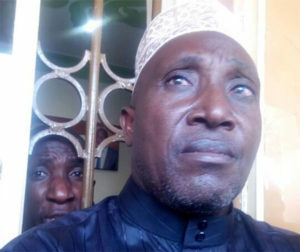 KAMPALA- The trial of former Buyende District Police Commander Muhammad Kirumira in a police court witnessed drama of sorts after one of the prosecution witnesses accused the embattled officer of not paying for a rolex. Rolex is a popular food item in Uganda, combining an egg omelette and vegetables wrapped in a chapati. And the witness, who is also a crime preventer, stunned the court headed by Mr Denis Odongpiny that Mr Kirumira ate his rolex and refused to pay for it when he was still OC Nansana in 2013. “I want to tell this court that Afande Kirumira is a bad person. He used to eat people’s things without paying. He also ate my Rolex and he did not pay me. I was operating a chapatti stall,” Mr Joseph Bukenya said. Mr Kirumira was making his maiden appearance before the court since he was granted bail last week. 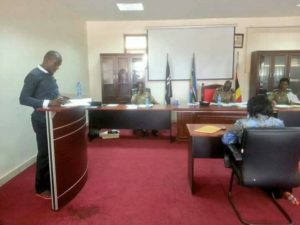 Another witness, Ronald Kasaga, claimed Mr Kirumira extorted Shs210,000 from him when he was Old Kampala Police Station DPC. Mr Kasaga claimed that Mr Kirumira unlawfully detained him until he paid the money for his freedom. Court last Thursday granted Mr Kirumira bail after he presented former Kampala Metropolitan Police operations commander, Assistant Commissioner of Police Sam Omala as his surety. Kirumira also apologised for his conduct last week when he marched out of police court protesting harsh bail conditions. The embattled police officer is facing charges of extortion, corruption, torture, unlawful arrests, discreditable conduct, neglect of duty, scandalous conduct, and excessive use of authority.